1. PEETA. 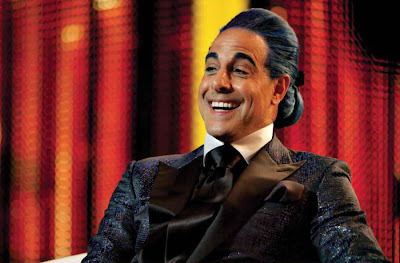 I'll be honest, I didn't know how I'd feel about Josh Hutcherson portraying him. But he pulled it off. By the end of the movie, he became Peeta. Liam Hemsworth was just as I'd pictured Gale and Jennifer Lawrence was AH-mazing as Katniss. 2. 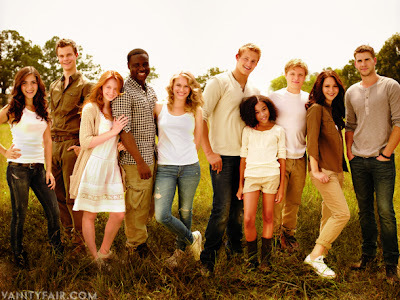 The movie kept Suzanne Collins vision of the arena and the characters. Amanda Stenberg was PERFECTION as Rue despite what these nimrods had to say (haters gonna be haters, but do me a favor and remember why you loved the book). I was elated they showed the wildflower scene--such an emotional parts of the book. Woody Harrelson was nicely cast as Haymitch, and in a lot of ways Stanley Tucci stole the show as the outrageous TV host Caesar Flickerman. 3. The capitol, with all of its pomp and circumstance, was exactly how I'd pictured it. It showed the irony of a society that needed bloodshed to be entertained. The stark difference between the districts and the Capitol was palpable. Totally agree. It is how I envisioned it. I loved it. And yes haters will always be haters. I'm not going there. No mention of Cinna? I thought Woody would be my favorite, but I thought Lenny ended up holding that honor. I'm happy to hear the movie makers did so well at remaining faithful to the book. I haven't seen it yet but I'm looking forward to it! Aw, Matt. I guess Woody nor Lenny really held that honor for me. Both were cast well but others characters stood out more to me. I haven't seen it yet. I'm making my daughter go again (she went with friends of course) this week so I can see it too. You've got me excited. I loved it more than I thought possible and can't wait to see it again. You're right about Josh. I didn't think he could pull off Peeta, but his soulful brown eyes did it for me every time. And Amanda was adorable as Rue. They couldn't have picked a better actress. Personally, I think Jennifer should keep the dark haired look. It looks amazing on her. More so than her natural color. Thank you for sharing your ops! I'm thrilled they carried the themes of the book, the actual story, throughout the film. I saw it with my daughter, she hasn't read it yet, but we both loved it. The emotions were so real, and Peeta was just right! The Cave!!! I agree that this was an amazing and satisfying adaptation. I loved the casting and was saddened and angered by the haters (but I guess there will always be some of them in the world and they always seem to have loud voices). I really don't think there could have been a better Katniss. I agree with everything you said - Josh whatshisname nailed it, and the script was SO close to the book. I thought it was terrific. Completely agree with you! I was very skeptical about Josh as Peeta, but he pulled it off beautifully. He was my favorite. Jennifer L. was amazing as Katniss! 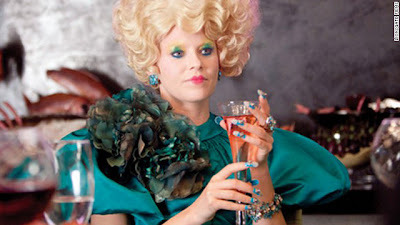 I think I enjoyed her portrayal of the role more than I enjoyed the character in the book. 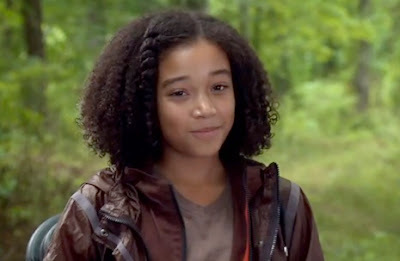 Rue - she was perfect for the role. Shame on all the ignorant people that thought otherwise. I went with my daughter, step-daughter and husband on the second day it was in theaters and ran into a group of my daughter's friends who were seeing it for the second time already. 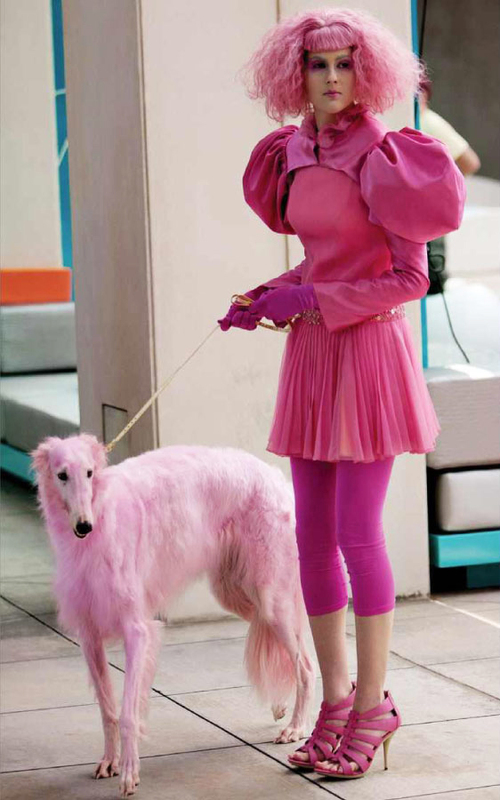 The scene's I most eagerly anticipated going into the movie were 1) the actual start of the Games 2) District 12 riding into the Capital for the pre-game parade and interview 3) Rue's death and 4) Prim's name being called for the Game's. All of those scenes lived up to my expectations. Of course not everything was perfect. You can't adapt a book to a movie and please everyone. And I have to admit Peeta grew on me. At first I thought there was no way he could pull it off. By the end I was a fan. A great success. I can't wait to see it!!! So glad it lives up to the hype! I agree with you on all counts! I wasn't sure I'd even like Peeta, but I have to say that the movie almost convinced me to switch Teams... Love the pictures! The cast WAS awesome, and I really enjoyed the movie. I was pleased to see that the director's vision of this world matched so closely to the one I had in my mind. I loved the movie too and felt they did a great job and the actors were a good fit. The story is heart-wrenching and the capital so evil in such underhanded ways. I spent last weekend completely engrossed in the first two books. Couldn't put them down! Now I'm super excited to see the movie. I just loved the movie, but I hadn't read the book yet. I have it now but haven't started. I can't wait to see the details it will add to the story for me. I definitely agree that they got the casting spot on. I had my doubts about a few of them before the film, but all my worries were totally dispelled. I agree with you too! I loved it. Every single minute. It's so hard to turn a great book into a great movie, but I think they did. I loved the cast too. The only one I would have liked to see recast was Snow. I dont't think he quite pulled it off. I'd like to have seen Christopher Walken, Michael Douglas or Al Pacino. they all have those 'dead eyes' .